Home Guides Can I Claim a Tax Refund if I Leave the UK? 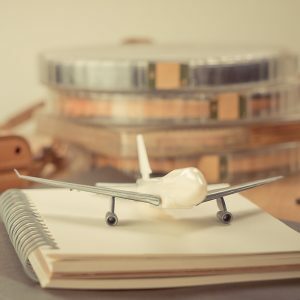 Moving abroad can be both exciting and stressful, and between all of the planning and preparations, the subject of your taxes can be easily forgotten. But it’s good news for contractors as you may still be able to claim a tax refund even if you leave the UK. To make the process as simple as possible for you, we’ve put together our handy guide for claiming a tax refund. Can I claim a tax refund if I move abroad? If you have worked as a contractor and incurred expenses from working in the UK, you may still be able to claim tax back. You can claim tax for the last six years even if you have been out of the country for part of that financial year. As long as you’ve completed a self-assessment tax return for the financial year, there’s a chance that you could be owed a tax rebate. If you decide to leave the UK, you will need to inform HMRC of your intention in your self-assessment tax return (SA109). Note, however, that you can only complete this by postal return and not online. You should also complete a P85 form which details any outstanding tax you may be owed. You can find more information and electronically submit your form on HMRC’s portal. Similarly, you need to inform HMRC if you plan to return and work in the country again. You will be considered a UK resident if you stay for 183 days or more. You will also need to keep a UK bank account open in the event that you are eligible for a tax rebate. How can I calculate my tax rebate? To calculate how much tax you could claim back, you will need details of your income, your earnings and the expenses you have incurred in the financial year. For more information about what to include in your tax return, take a look at our guide here. You can also try our online calculator for an estimate of how much you may be entitled to. At Brian Alfred, we’re experts in all things tax and we can provide you with all of the help and support you need. For more information about your eligibility, give us a call on 0800 464 0353 or email tax@brianalfred.co.uk.